MB attended a wedding in his Irish homeland last week. And did you enjoy yourself MB? Immensely lads, thanks for asking. It was the typical Irish wedding. Full of the joys of life and a little bit of madness thrown into the mix for good measure. 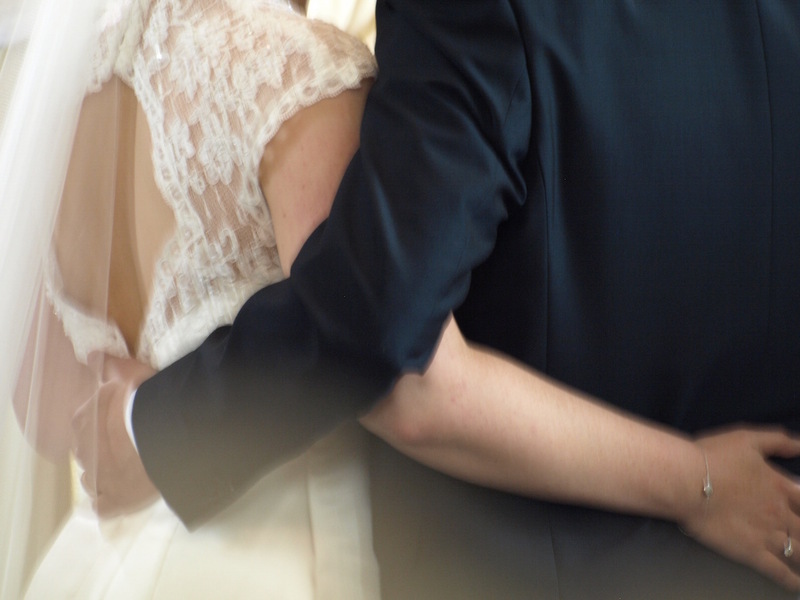 To any readers who have not attended an Irish wedding MB has but one suggestion – do so. And do it quickly. A life lived without the Irish wedding experience is a lesser life, a life not yet fully revealed in all it’s glory, a life not yet reached the higher plateau. In short, a sadder life. So if still an Irish wedding virgin then perhaps you could try to befriend some Irish people and cajole them into a wedding invitation at some future stage. Maybe you can ask some existing Irish friends if any weddings back home are in the offing and could you please attend. It will not matter one whit that you have neither family nor friendship connection to the happy couple. Your slightly strange request will most probably be greeted in typical Irish fashion with typical Irish response. Such as – “Sure why not, you might as well come along and enjoy yourself like everyone else, you poor foreign cratur. And would you like a cup of tea when you arrive?” Or something similar. But regardless of the exact wording of the response, you are in, booking your flight and on your way. Joy of joys. MB attended a wedding in the English heartland of Wiltshire once upon a time in the dim and distant past and fell very much foul of English wedding customs. Upon leaving the church service, MB and some fellow Irish attendees disappeared to a local hostelry to enjoy some remembrances of the Irish groom in days past and to just generally shoot the Irish breeze. Upon arrival at the wedding banquet some hours later, MB & friends were aghast to discover that the meal was almost finished. Nevertheless, bold as brass, and under the ‘if looks could kill’ glare of all those Englanders present, MB and friends coyly took their place at the allotted table just in time for desert and speeches (the only purpose of wedding meals anyway) where the sole English friend of MB & Irish pals had sat in lonely solitude from the commencement of meal proceedings some ninety minutes past. He was not happy – to put it mildly. The Irish groom at the top table smiled throughout the disturbing arrival of his homeland friends, a smile he managed to keep on the side of his face which was opposite to the side his English bride was sitting at, as he was well aware of the Irish after-church wedding custom but had somehow forgotten to inform MB & friends of one or two major differences with the English one. For those not in the know, and for any of the non-Irish amongst MB’s HX followers who will now attend an Irish wedding following this blog post, it is considered extremely ignorant behaviour NOT to go to a hostelry after the Irish wedding church service – as the following few hours are considered private time for the bride & groom to take care of wedding business. Such as meeting up with close family, maybe grabbing a cup of tea and a sandwich after the exertions of the day, and of course snapping the wedding shots with the photographer, whether just in the church grounds or as sometimes also happens, at some local scenic beauty spot – which are ten-a-penny in any Irish village. But regardless of any other considerations, the hours immediately following the church service are sacrosanct, and to arrive early at the wedding reception/meal would be considered a gross violation of same. Who in their right minds would try to pressurise a newly married couple into rushing the photos and the interfamily mingling just after tying the knot? Who in their right minds could consider committing such a heinous act of sacrilege? Answer – mad dogs and Englishmen of course. The vile and ignorant swine. So the next time that MB attends a wedding in Wiltshire, or in any other Shire, he will inform the natives that the Irish wedding service in HX last week commenced at 1.30pm in church (notwithstanding brides 30 minutes late arrival at 2pm) and meal commenced at 7pm. Great photos were taken, families were happy as pigs in muck, bride and groom were beaming from ear to ear, and 200 or so guests were full of the joi-de-jameson that 3 to 4 hours in any Irish pub will invariably bestow. Let the meal commence. Let it be followed by some speeches resplendent with Irish wit & warmth, and let the dancing long last into the late late hours. Such is how a wedding should take place – Mr & Mrs Englander! But MB wishes to return to the church service itself, which took place in the postcard-pretty church in the village of Ballysteen in west Limerick. For the church service has given MB the title of this very post. The readings for any wedding mass are generally predictable. Invariably each wedding couple selects more or less the same ones. Ones that mention the obvious matters of the day such as love and fidelity and longevity. But the first reading at last week’s Irish wedding really made MB sit up and take notice. Here was a couple who had given the readings some serious consideration and thought. And in the first reading, the values and thoughts espoused, had most males in attendance wanting to give a standing ovation on completion of it’s oration. And they probably would have done, but for the killer stares of their resplendent Kill Bill female partners. and there is nothing so precious as her self-discipline. The officiating priest, Fr Liam, actually mentioned in his homily that he suspected the groom had selected the first reading. But MB is sure it was a joint decision, taken after careful reading and re-reading of the valuable messages contained within. In any event, a couple who include such a reading in their wedding service are surely on the right track from day one. With such wise words and guidance for future life, they can hardly go wrong. Enough MB. You have blathered on for far too long. Silence! Congrats to Catriona & Diarmuid. Long life and happiness to you both. Was a great day. For you & for us. In the U.S., it seems that anything goes these days. Forget the white bridal gown, you might just see her wearing black. (I know, I couldn’t believe it either!) The writing is on the wall. I do like the idea of taking a wee break before the rush to the dinner. The bride and groom appear as if they have just finished a half marathon here. Nor is there time for them to eat. It is expected that they will visit each guest and all tables. Dancing occurs next, famished and tipsy bride and groom begin the festivities by their approach to the dance floor. Don’t get me started on the cost. Let’s just suffice it to say that the divorce is put on hold until the creditors for the wedding have been satisfied. You have almost written a post there CG. How about a proper post on the topic from you. The American Wedding. would be of huge interest to many I would think. Go for it! Hi Martine. Great to hear from you and to get your proof that MB was not making up that English wedding story! Apart from that, it’s nice to see that the younger Irish girls seem to be reverting to the values of our mothers and grandmothers in ways that yours (& my wife’s) generation of Irish females did not. Ireland getting better by the day! Regards and great to hear from you.